Build memories to last a lifetime. Embrace the spirit of imagination with magic for every member of the family. 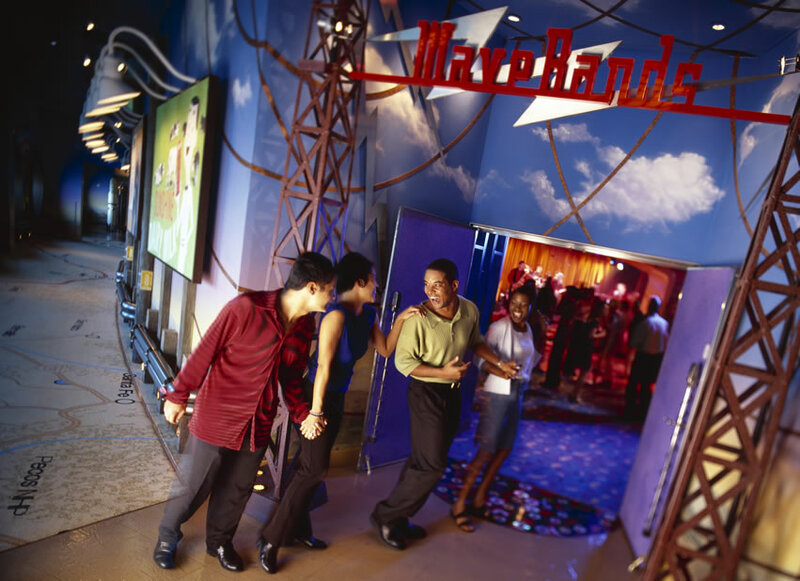 From the Broadway-style productions in theWalt Disney Theater to live music in the nightclubs to treasured Character experiences, you will see again and again why nobody creates entertainment like Disney. 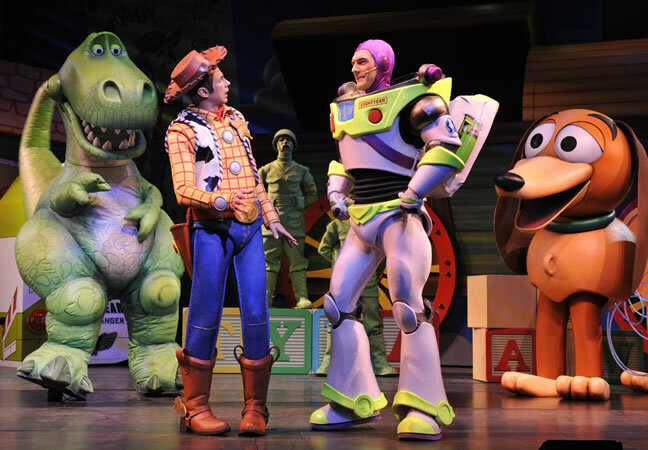 Enjoy fabulous original productions on the stage of the wonderful Walt Disney Theatre. Laugh and sing along with professional performers and favorite Disney Characters in Broadway-style shows with brilliant costumes and stunning special effects. Meet heroes and villains, encounter romance and comedy, watch dreams come true. It can all happen to you in these live shows that are truly Disney magic. From the award-winning, heart warming Disney Dream- An Enchanted Classic to re-imagined Cinderella story of Twice Charmed: An Original Twist on the Cinderella Story to the zany antics of Buzz and Woody in Toy Story – The Musical, you’ll find shows for the entire family not seen anywhere else. Get closer to favorite Disney Characters than ever before — because they’re taking a holiday, too! Meet them at parties, breakfasts and shows all over the ship and on Castaway Cay, with lots of time for autographs and photos. Check your daily Personal Navigator and the message board in the Lobby Atrium for Character Appearance locations and times — but don’t be surprised if you run into someone special at any time! 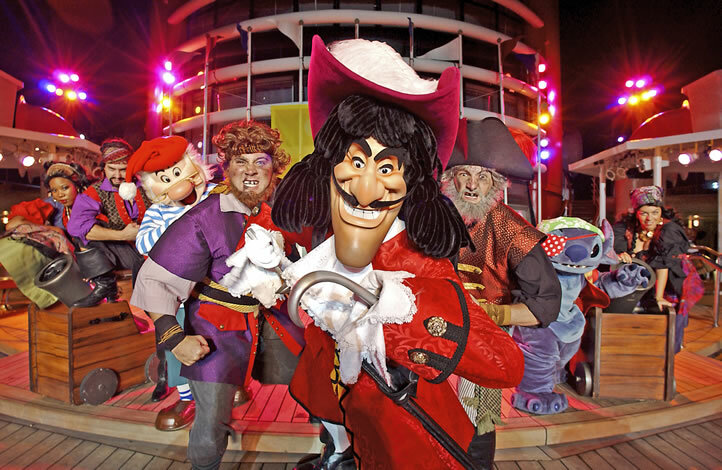 Don’t miss the opportunity to meet favorite Disney Characters at the wonderful Deck Parties such as the Sail-Away Party! Don your red bandana and celebrate your cruise pirate-style for Pirates IN the Caribbean Deck Party. The fun starts when your favorite Disney Characters, dressed in pirate garb, greet you in the atrium. Discover destinations that are always fun. Immerse yourself in places that could only have been created by Disney, where you can be happy listening or dancing, snacking or having a cocktail, catching up on sports action — or simply relaxing. Savor an amazing contrast with the buzz of activity just outside in this delightful comfort of the Cove Cafe. Check out the big game on ESPN at Diversions. Stand high above the Quiet Cove Pool at the distinctive Outlook Bar on the top deck of the ship or dance the night away at WaveBands. Delight in drinks and light hors d’oeuvres in the eclectic Keys, exclusively for adults. Step into the Buena Vista Theatre and enter unknown worlds of imagination. See movies the way they’re meant to be shown — in a motion-picture palace with comfortable seats, a giant screen and state-of-the-art projection and sound. Enjoy first-run films and Disney favorites. Check your Personal Navigator for titles and showtimes throughout each day. In addition to first-run films, the Buena Vista Theatre—in a cruise industry first—screens 3-D digital movies for your enjoyment. 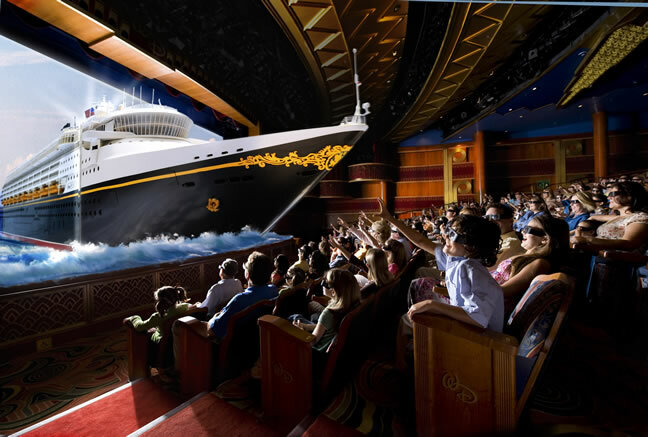 Equipped with the latest digital 3-D projectors, the theatre allows you to experience the fun and excitement of both new and classic films during your cruise.